Be the first to share your favorite memory, photo or story of Eithel. This memorial page is dedicated for family, friends and future generations to celebrate the life of their loved one. 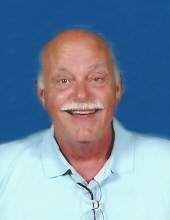 Eithel Thomas "Tom" Perkins, age 69, husband to Linda Wilson Perkins, passed away Saturday, February 9, 2019 in Lexington, Kentucky. Tom was born January 7, 1950 in Georgetown, Kentucky to the late Eithel and Pauline Gardner Perkins. He was a graduate and senior class president at Scott County High School. He attended Midway Baptist Church. Tom was an electrician, a former employee of Clark Equipment and retired from Toyota in Georgetown. He enjoyed working with and owning many types of electronics, loved playing softball and enjoyed watching basketball. In addition to his wife, Linda, he is survived by his children, Edmond Davis "Dave" Perkins of Georgetown, Derek Thomas (Cassie) Perkins of Lexington and Kimberly Deanna Perkins of Lexington; grandchildren, Chase Perkins, Caitlyn Wells, Halle and Riley Perkins; great grandchildren, Cadence Stidham and Waverly Newsom. He is also survived by his sisters Judy Rodgers and Paula Rodgers, both of Georgetown, and Ginger Dunn of Cynthiana and a number of nieces, nephews and cousins. Visitation for Tom will be Friday, February 15, 2019 from 5 to 8 at Tucker, Yocum & Wilson Funeral Home. Services will be 1pm Saturday, at the funeral home with Military Salute. Dr. Billy Strother will officiate the service. Honorary pallbearers will be Mike Marshall, Paul Marshall, Mike Wilson, Gary Powers, Cliff Clark, Don LaFramboise, Don Grassmyer, and Ralph Romeo. The family would like to invite everyone to a meal after the service at Harmony Christian Church. To send flowers or a remembrance gift to the family of Eithel Thomas "Tom" Perkins, please visit our Tribute Store. "Email Address" would like to share the life celebration of Eithel Thomas "Tom" Perkins. Click on the "link" to go to share a favorite memory or leave a condolence message for the family.